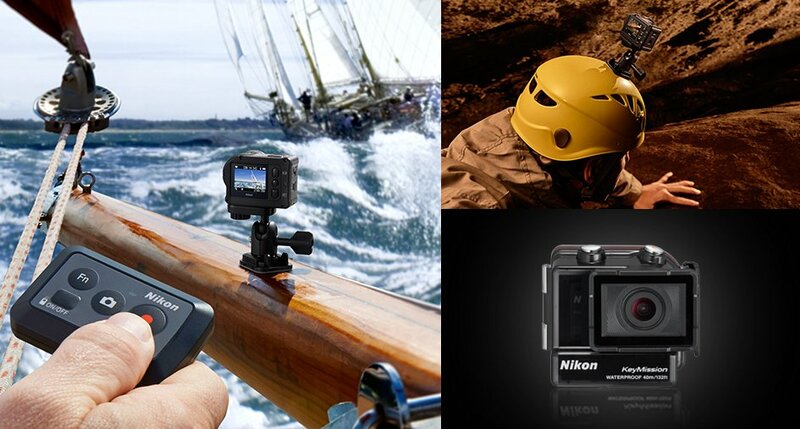 Nikon’s three new KeyMission action cameras 80, 170 and 360 are now available in New Zealand at local stores. They are bound to grab market share from the market leader GoPro. This is Nikon’s entry-level 12 MP action camera. It currently retails as low as $548. It employs a 25 mm lens for the main camera, while the front one has a slightly shorter 22 mm lens. The 1080p format is the highest resolution format for recordings and it’s capable of capturing 30 fps (frames per second). The LCD screen measures 1.75 inches. Nikon KeyMission 80 is durable and protects against water, dust, and shocks. The KeyMission 170 model is a step-up from the 80 model. Its name is very descriptive since it operates within a 170-degree wide viewing range. This means that you can capture a wide area up close without having to move too far away from the target. It has an 8.3 MP sensor that records in either 1080p or 4K format. It offers similar protection as the 80 model. The prime 360-eye KeyMission 360 model was announced 11 months ago at the CES fair, and is now finally available locally. This action camera is really powerful and can record in all angles simultaneously in 4K format. The price is rather high at $879, but I think that it offers a lot of value for this price.